Thousands of eyes, Yet I cannot see, Eons later I came to be. Though he be long, I be short, Many a year have we fought. What am I? 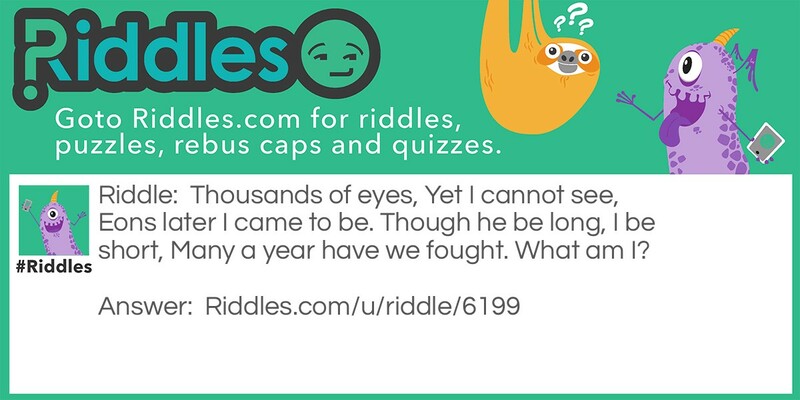 Arcane Answers Riddle Meme with riddle and answer page link.